This minimalist Milan Concealed Thermostatic Valve will compliment any modern bathroom suite, offers thermostatic showering via two easy-to-operate controls for temperature and flow. 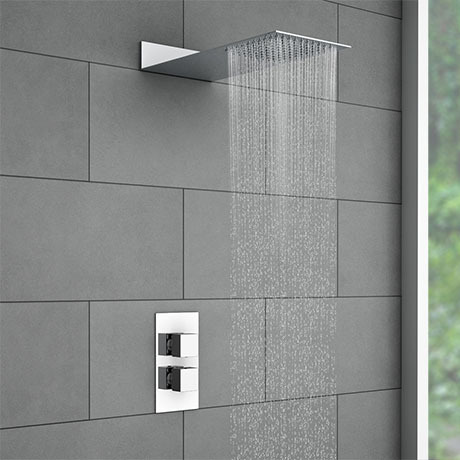 Supplied with a overhead fixed square flat rainfall Shower head. "Top quality, looks even better in flesh." Looks even better in your own bathroom. Excellent value a real quality item at affordable price.